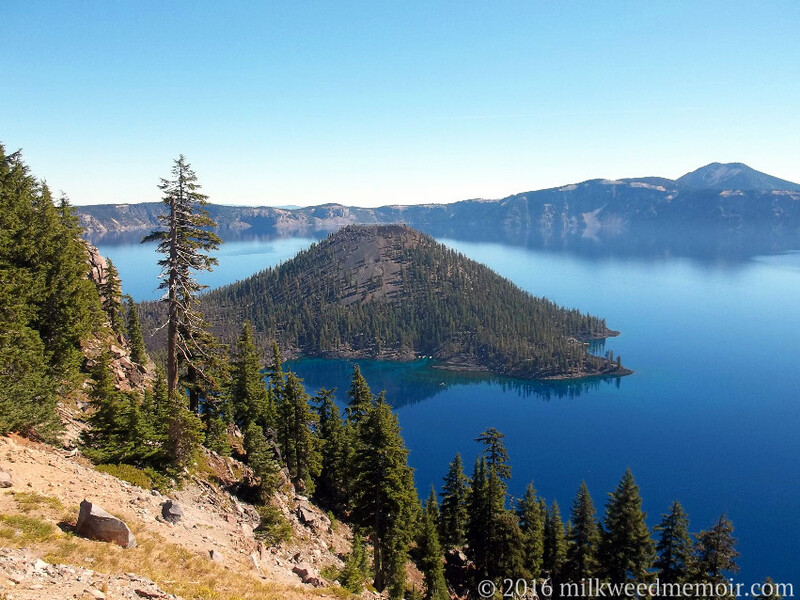 Crater Lake is so called because that's what it is, the snow-melt-filled crater (caldera) of a gigantic volcano. The island is a volcanic cinder cone. The hilly shore 6 miles beyond is the east crater ridge. It also is the USA's deepest lake at 2,148 ft. (655 m).